One of the most recognized landmarks in the park, viewpoints of Zion's Court of the Patriarchs are easily accessible, offering spectacular scenery and photography opportunities of these impressive sandstone peaks. 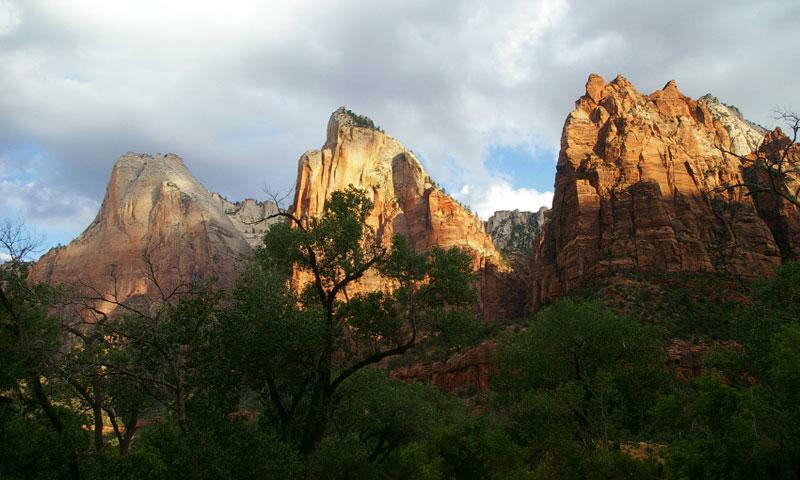 Named after Abraham, Isaac, and Jacob, the Court of the Patriarchs is easily viewed from Zion canyon. 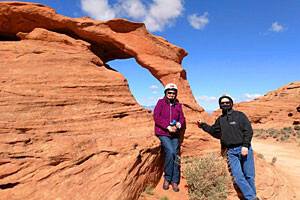 Accessible from Zion's shuttle, a short walk leads to a breathtaking viewpoint above the trees perfect for photographs. For a closer view, consider hiking the Sand Bench Trail, a 3.5 mile round trip hike. One of the most recognized landmarks in the park, Zion's Court of the Patriarchs reach into the Utah sky. These three photogenic peaks bear the biblical names of Abraham, Isaac, and Jacob. An early stop on the Zion shuttle, it is a 'must see' for first time park visitors, offering spectacular scenery and photographic opportunities. The Court of the Patriarchs is located in Zion Canyon. From the months of April through October, one must access the Court of the Patriarchs, Zion using the park's free shuttle service. The shuttle stop for the Court of the Patriarchs, UT is early on the loop, immediately after Canyon Junction. For a clear viewpoint above the trees, visitors can walk a short, uphill path. For a closer view, the Sand Bench Trail is another option. As mentioned above, for a closer view of the sandstone prophets, many hike the Sand Bench Trail, a horse path that is also open to hikers. A round trip of 3.5 miles, this trail is a level, but sandy stretch through a field of sage. Because of the sand, it can be taxing on the legs. The entire hike takes about three hours. Be sure to carry water if you trek during the summer as much of the trail is exposed to direct sun.